Discover Soča river, enjoy stunning landscape and visit Kobarid of Hemingway's A Farewell to Arms. Adrenaline options of cycling, rafting, canyoning or kayaking. A day trip for those who enjoy pristine and beautiful nature! Visit one of the most beautiful river valleys in the world. Justly called the Emerald Beauty, Soča river is famous for its green-blue colour, for its purity and clarity and for the adrenaline water sports (kayaking, white water rafting, canyoning, hydrospeed). We start the trip by driving towards Kranjska gora, famous as a traditional setting of downhill skiing World Cup competitions. 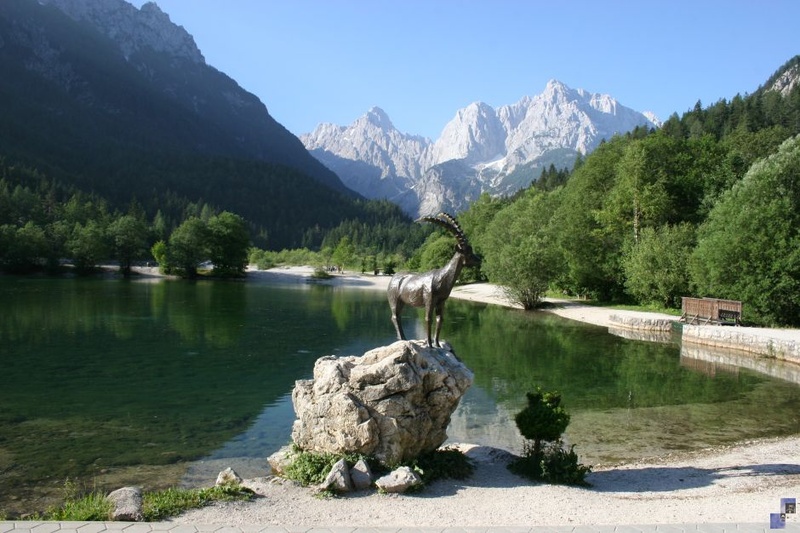 Our first stop is the picturesque Jasna lake, lying at the foothills of the mighty Julian Alps. We continue our drive up the steep mountain road towards Vršič, passing the Russian Chapel, a wooden church erected to commemorate the Russian prisoners, who perished whilst building this monumental road during the World War 1. On top of Vršič, the highest mountain pass in Slovenia (1611 m), we start with the 25 hair pin bends, all downhill, of course. We stop along the way for magnificent mountains views and photo moments. As we reach Soča river valley, the road levels out and we follow the river to Bovec, the adrenaline capital of Slovenia and the right place for our optional afternoon adrenaline activities: rafting, kayaking or canyoning . We wrap up this day trip by returning through the lower Soča river valley, stopping in Kobarid (Capporetto in Italian) for a walk around town and an optional visit to the Museum of World War 1, one of the best museums in Slovenia. Ernest Hemingway used Kobarid and Soča river valley as a setting for his novel Farewell to Arms.